The word osteoporosis literally means “porous bones.” It occurs when bones lose an excessive amount of their protein and mineral content, particularly calcium. Over time, bone mass, and therefore bone strength, is decreased. As a result, bones become fragile and break easily. Even a sneeze or a sudden movement may be enough to break a bone in someone with severe osteoporosis. Mount Sinai School of Medicine study shows vitamin C prevents bone loss in animal models – Researchers have shown for the first time in an animal model that vitamin C actively protects against osteoporosis, a disease affecting large numbers of elderly women and men in which bones become brittle and can fracture. Secondary osteoporosis: More than what meets the eye! – An SGH study has revealed that considering all osteoporotic patients as having simple osteoporosis and treating all of them alike by putting them on potent long term medication without finding out the cause of their osteoporosis may be ineffective and in most cases downright harmful. Earlier detection of bone loss may be in future — NASA-funded research looks to isotope analysis rather than X-ray for measurement – A more sensitive technique is developed by scientists at Arizona State University and NASA for detecting bone loss early than the X-ray method used today, with less risk to patients. Osteoporosis drugs need better labels indicating time limits, suggested by FDA panel, but how much time is yet to be determined – A US FDA advisory committee wants the health agency FDA to limit the duration of bisphosphonate therapy for treatment of osteoporosis. The panel could not agree on what that time limit should be. The panel also endorsed a label change for osteoporosis drugs. Increasing daily calcium will not reduce the risk of fractures in later life — Dietary calcium intake and risk of fracture and osteoporosis: prospective longitudinal cohort study – While moderate amounts of calcium (around 700 mg a day) are vital for maintaining healthy bones, there is no need to start increasing calcium intake in order to reduce the risk of fractures or osteoporosis in later life, finds a paper published in bmj. 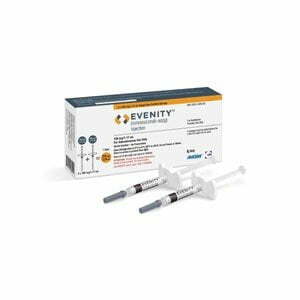 FDA Approves New Injectable Osteoporosis Treatment for Postmenopausal Women – The U.S. Food and Drug Administration approved Prolia, an injectable treatment for postmenopausal women with osteoporosis who are at high risk for fractures. Quantity vs. quality: Long-term use of bone-building osteoporosis drugs — Studies find possible links between prolonged bisphosphonate treatments – Bisphosphonate treatments, proven to enhance bone density and reduce fracture incidence in post-menopausal women, may adversely affect bone quality and increase risk of atypical fractures of the femur when used for four or more years. New research suggests fat mass helps build bone mass in girls — Excessive reduction of fat mass in girls may increase risk of osteoporosis in later life – According to a new study accepted for publication in The Endocrine Society’s Journal of Clinical Endocrinology & Metabolism (JCEM), fat mass is important in increasing bone size and thickness, but this effect appears to be stronger in girls than boys. Osteoporosis drug may save lives by strengthening immune system – An osteoporosis drug zoledronic acid (Reclast) proven to save lives after hip fractures may do so by strengthening the body’s immune system, revealed by geriatrics researchers at Duke University Medical Center.